Finding the right lawyer can be pretty tough. Who can I trust? How much will it cost? Do they have a solid track record of success? Will they keep me informed? Will they get me the result I deserve? The lawyers of LeViness, Tolzman & Hamilton have been the choice of thousands of Marylanders since 1987. For over 30 years we have been successfully helping Marylanders get the results they deserve. We want to be your lawyers. At LeViness, Tolzman & Hamilton, your satisfaction is our #1 priority. We are committed to treating each client with the highest level of respect while providing unsurpassed service with accountability, ethical behavior and the best result. By limiting our practice to these areas, we are able to stay on the cutting edge of the law and offer our clients state-of-the-art strategic advice. Our greatest satisfaction is being able to use our knowledge and experience to bring justice to people when they need it most. Our objective is the same in every case: To obtain the best result for our client. AND WE DO! LeViness, Tolzman & Hamilton has represented thousands of Marylanders throughout the State and we have consistently obtained exceptional results in a wide variety of serious and catastrophic injury cases. For example, not long ago our firm obtained one of the highest jury verdict in the State of Maryland in an auto accident case (over $4 million). 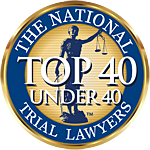 Every year we successfully resolve more than 500 personal injury cases, as well as 100s of other types of cases. When you hire the attorneys at LeViness, Tolzman & Hamilton, you get immediate peace of mind. Our lawyers are involved in your case from the very beginning, right up to the very end. We know that when your case arises you want prompt answers and action. We will start working on your cases on Day One using the latest techniques and our solid work ethic. Our goal is to exceed your expectations. We will be by your side every step of the way. From our initial meeting to the conslusion of your case, we work to make the process as quick and smooth as possible, giving you the utmost in personalized service and keeping you informed as the case progresses. From the first day I called LeViness, Tolzman & Hamilton, I felt they put my best interests first. Every member of the team treated me with care, kindness, and respect. I felt like they fought for the best outcome for my case, and I feel like I received that. I highly recommend!